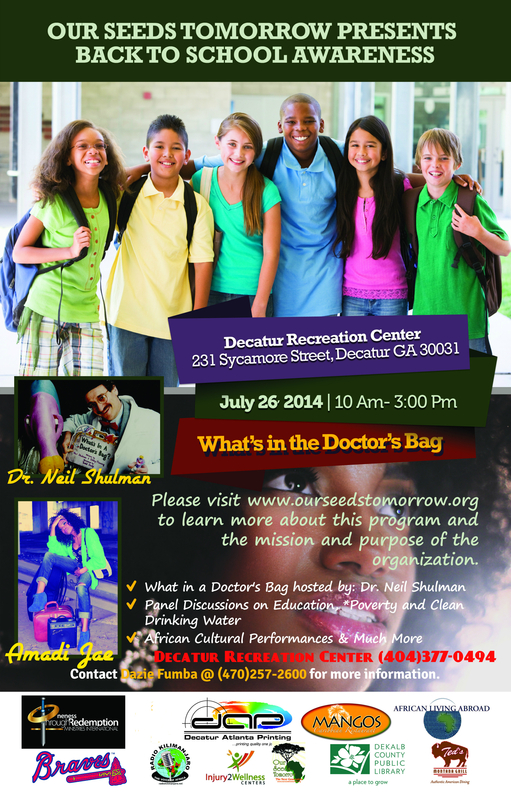 Our Seeds Tomorrow Presents Back to School Awareness- Saturday, July 26 at Decatur Recreation Center. What’s in the Doctor’s Bag? Our Seeds Tomorrow presents back to school awareness this Saturday, July 26 at Decatur Recreation Center. African Cultural Perforamances and much more. Please visit http://www.ourseedstomorrow.org to learn more about this program and the mission. Contact Dazie Fumba at (470) 257-2600.